So many details go into making a move and the packing process. That’s why Slater Transfer & Storage is here to help. This local or long-distance move isn’t something you need to do on your own. We offer affordable moving services from dependable teams in Albuquerque, Las Vegas and St. George for moves in-state, across the country and even across the world. Our 40+ years in this business have taught us how to help provide more efficient services and greater care, as well as helpful tips to remove hassle and worry. Read some of them below, and contact us today to schedule your in-home, no-obligation moving estimate. Hold a garage sale about a month before your move. Paint, petrol, gas cylinders, etc. Ask yourself, “Do I need all these clothes?” Sell clothes that you no longer wear in a garage sale or donate to a local charity shop. Disposable, family reading and valuable books. Which ones will work in your new home or office? Submit one week before moving. Marriage license, birth certificates, driving licenses, etc. Keep passports separate so that they are not packed away. Make sure vaccinations and documentation are up to date. Will your new home be ready? If not, look into storing items in secure, indoor storage facilities. Research schools, grocery stores, theaters, lifestyles—it’s never too early to find out about your new home. Have extra non-perishable food? Donate it! Close or transfer bank accounts, savings accounts and so on, if necessary. Use only strong, corrugated cartons with covers to pack your belongings securely. Slater Transfer & Storage offers free, gently used boxes for our customers along with affordable new boxes at wholesale prices. 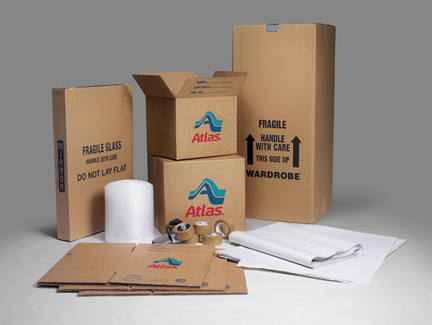 We can even supply you with specially made cartons, for everything from mattresses to clothing and mirrors. Visit one of our three locations in New Mexico, Utah or Nevada or contact us to get your reliable moving boxes and packing supplies. The added protection of mover-provided cartons may avoid damage that results from the use of poor-quality packing materials. Your alternative is to collect boxes discarded by your grocery or liquor store. Save old newspapers for use in packing, but remember that ink may rub off and stain clothing or other items. *WARNING: Insect eggs and insects such as roaches can travel in food boxes. We also offer crating for larger, more specialty items, such as mounted trophies, antiques, art and marble tops. If this is something you’re interested in, talk to us and we’ll incorporate it into your plan. Pack heavier items toward the bottom of the box and lighter items toward the top. Try to keep a per-box weight of 50 pounds or less; it makes moving a lot easier. A general rule to remember on carton size is that the heavier the item, the smaller the carton. Slater Transfer & Storage also offers packing services for your ease and comfort. With our full-service and flexible packing plans, we figure out what you’d like us to pack and unpack. Our professional packers will work with you to make sure that everything is treated with the utmost care and an acute attention-to-detail. We can even help you unpack upon arrival, placing items on nearby tables and countertops so that you can arrange your new home or office to your personal tastes. 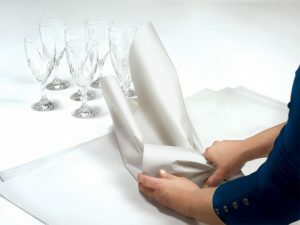 Select a medium-sized carton (or mover-provided dish pack) and line the bottom of the carton with crumpled packing paper. Place glasses and stemware toward the top of your box. Heavier items (dishware, pitchers, etc.) should be placed toward the bottom of the box. Delicate glassware and stemware should be placed in an upright position, not on its side. The list of individual household items is endless. Most can be packed by following our packing pointers. Here are some additional packing tips for major items. 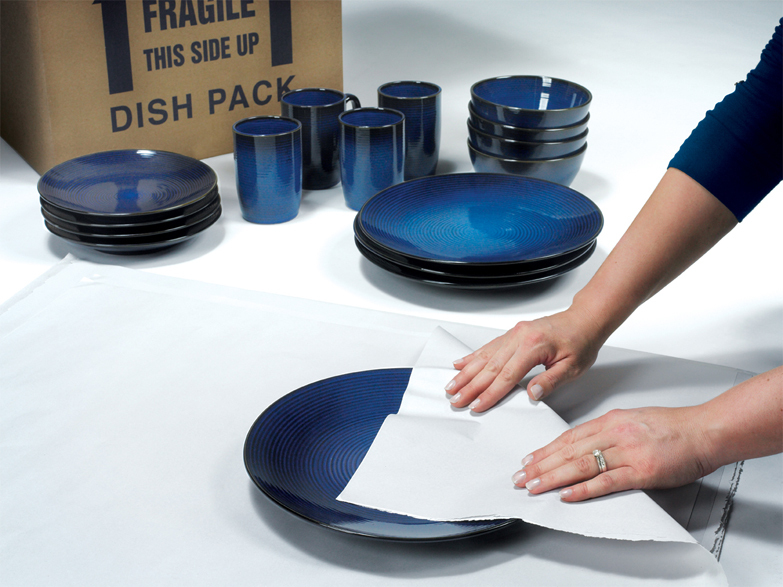 If you want a more comprehensive list of how to pack special items, drop us a line. We would be happy to send out a project manager to visit your home and recommend which moving materials you need and an estimate for their cost. Get in touch with us today! Frozen Foods and Plants –Because of the delicate and perishable nature of these items, your mover is prohibited from accepting these packed items when your shipment is being transported more than 150 miles and/or delivery will not be accomplished within 24 hours from the time of loading. Frozen food shipped within these guidelines must be packed in a freezer which at time of loading is at normal deep-freeze temperature. Flammables and Combustibles — Hang drapes over crossbars in wardrobe cartons, or pack folded in clean cartons. Remove curtains from rods, fold and pack in cartons or bureau drawers. Barbecue Grills and Propane Tanks — Wrap grates and briquettes separately in a newspaper (or place all briquettes into a grocery bag) and place parts in carton. Pad carton with paper to reduce movement of contents. Propane tanks may not be shipped.